Perfect for young shots, keen beaters and country kids, the Bonart Kids Tweed Cap is a traditional tweed flat cap for children. 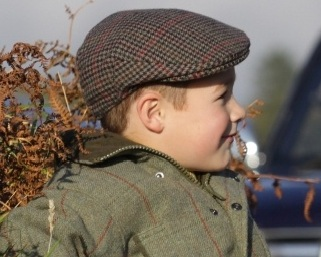 Our kids tweed caps are made from an assortment of tweed designs and colours, depending on availability. Should you require a specific colour or style of tweed, please contact us and we will do our very best to help.